We changed the pace a bit today and spent most of our time stopping at overlooks or wandering around old mining towns once I figured out Petey could hardly walk this morning. I planned a short hike, 0.6 mile, at Animas Overlook about five miles up the dirt road from our campground. The paved path led us along a nature trail to a view of snow capped mountains and the Animas River below. I had to coax Petey along and when I left the path in search of cache, he stood staring at me like I was crazy. 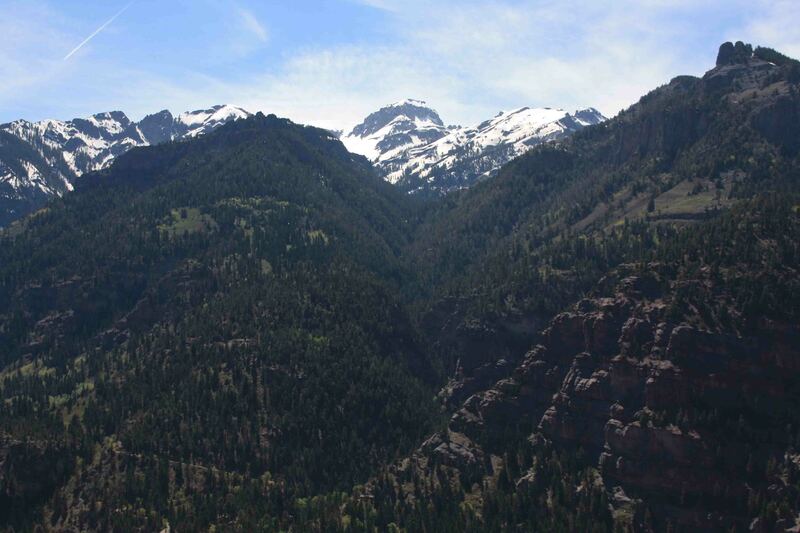 As we left Durango and headed north on 550 to Silverton we climbed two passes. We topped Coal Banks pass at around 10,300 feet where we enjoyed a snowy mountain view before we earned a slight, downhill relief prior to climbing up to Molas Pass with an elevation of 10,899. 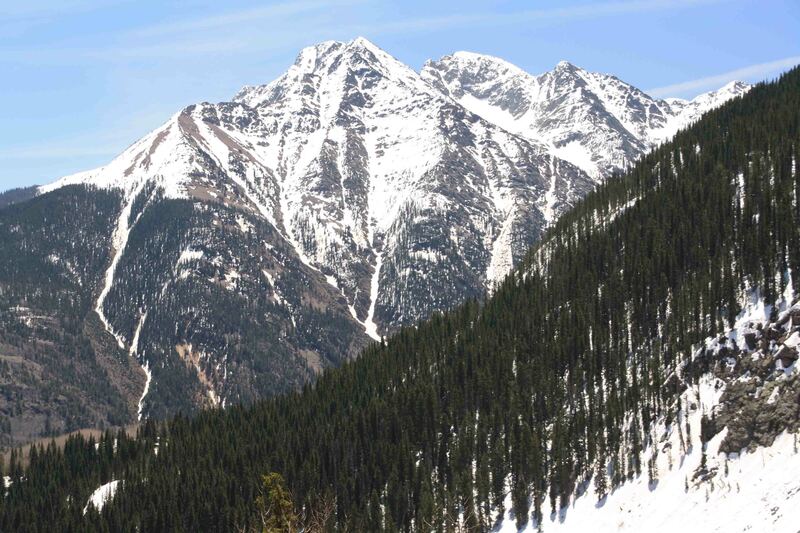 Molas Pass overlooks the Weminuche Wilderness, at 488,700 acres, the largest wilderness area in Colorado. 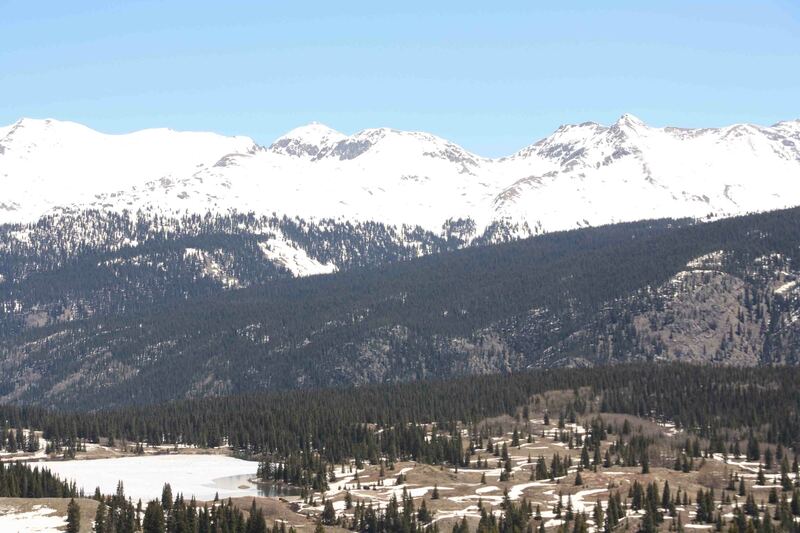 The view at the pass overlooks a range of lofty peaks and the Molas Lake, still covered in ice. The 470 mile Colorado Trail that traverses Colorado and connects Durango to Denver can be found at the lake. We eventually made it to Silverton, an old silver mining town that supposedly got its name when a miner exclaimed, “We may not have gold here, but we have silver by the ton”. Petey and I took an hour to cache in Silverton. We strolled past historic buildings like the gold-domed courthouse, admired once-elegant hotels, and even took a jaunt down Blair Street, a former red-light district. My favorite cache of the day was called, “To Too Two EASY”, and much to my surprise, it was! A camoed film canister was wired to an old metal shack. 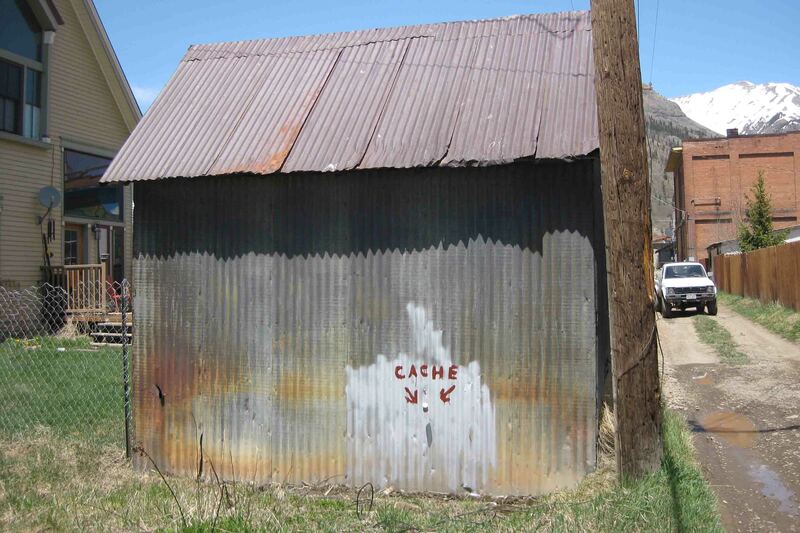 It hung in broad daylight for all to see, and if that wasn’t easy enough, the word “cache” with arrows pointing to the film canister was painted in giant red letters on the side of the building. I couldn’t help but laugh…SO great! As we turned around to leave town, we passed by a house that appeared to be built beneath a hill as the roof was constructed of rock, grass and dirt. It was a very unique design. After we left Silverton, we continued on 550 along a portion of the road known as the Million Dollar Highway. 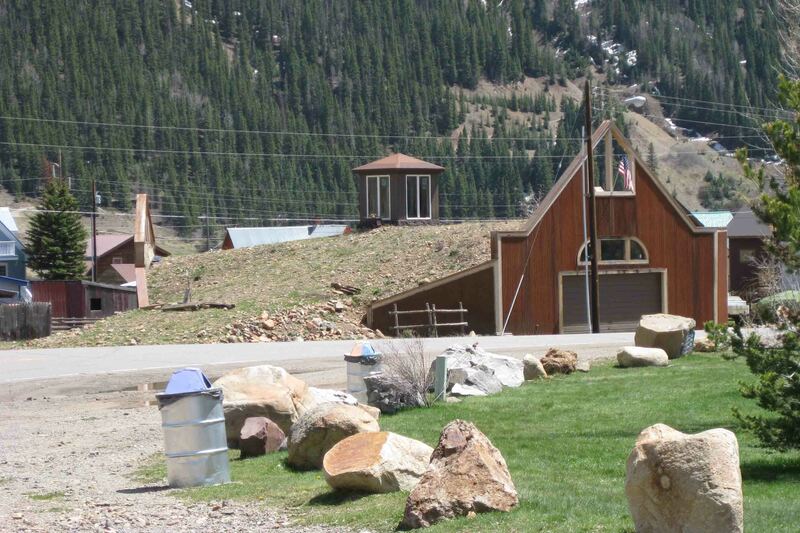 Built between 1880 and 1920, the old toll road served as a mail, stage, and freight route. Depending on whom you ask, the highway was named for the amount of gold and silver mined in the area, the value of the low-grade ore tailing used to pave the road, the cost of construction, or the rewarding views. 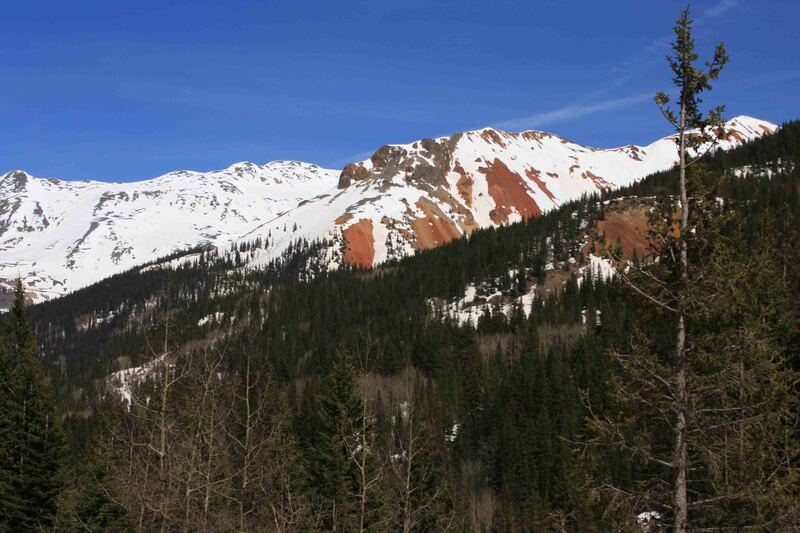 The road hugs the mountainside as it winds past waterfalls and climbs to Red Mountain Pass. After topping out at 11,018 feet, the highway twists down toward Ouray skirting the remains of old mines and passing through tunnels blasted through solid rock. 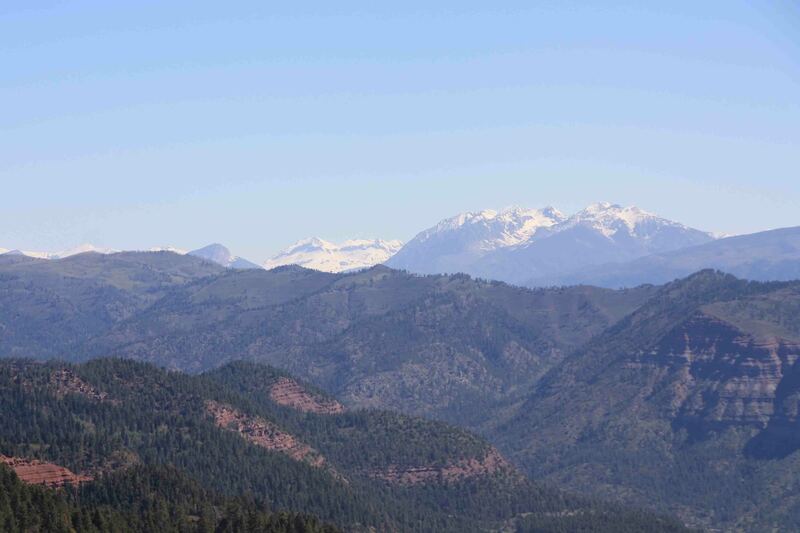 In Ouray, also known as Switzerland of America, we drove to the Amphitheatre campground in the National Forest which provided an outstanding view of the town below and the surrounding mountains. An additional bonus was a short walk to yet another cache. It was the fourth of five that I found today. 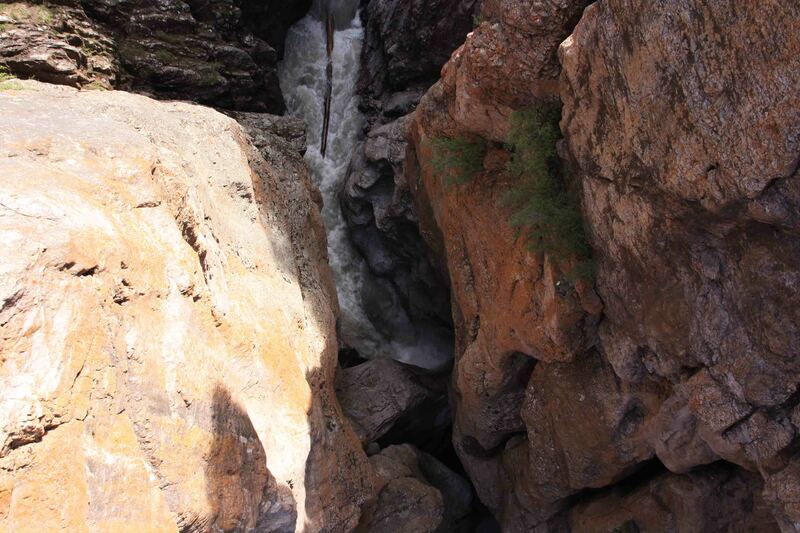 After taking in the views, I drove through Ouray’s streets lined with Victorian hotels and shops to Box Canyon Falls. The 285 foot cascade thunders down a narrow gorge, though much of the falls is obscured by the sheer cliff walls. 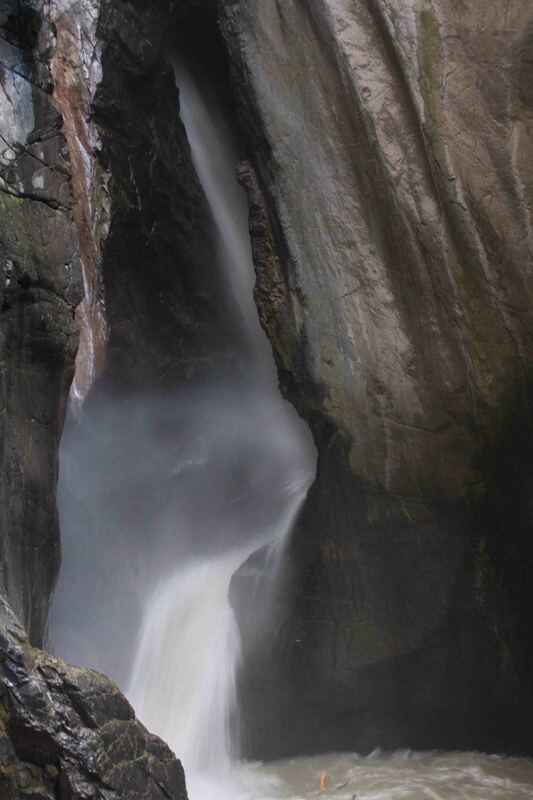 At the top of the falls, water tumbles into a hidden chute and at base of the falls it reappears as it shoots through a tight gap in the rock face. The steel suspension bridge above the falls led through a tunnel to the Perimeter Trail which circled above Ouray. I’m not sure of the length of the trail, but some other day it seems like that might be worth exploring. In addition, hiking the Perimeter Trail to the falls only suggests a donation while entering through the visitor’s center requires a $3 fee. Just thought I’d mention that for the financially challenged folks in the world that might want to enjoy nature at a slightly lower cost. Along the path, I spotted chipmunks, a black-headed grosbeak, and a marmot. It was my first time to see a marmot. I couldn’t raise my camera fast enough to snap a decent picture, so hopefully I’ll see another one soon. Hi from Bermuda! Gorgeous here — you would love it! 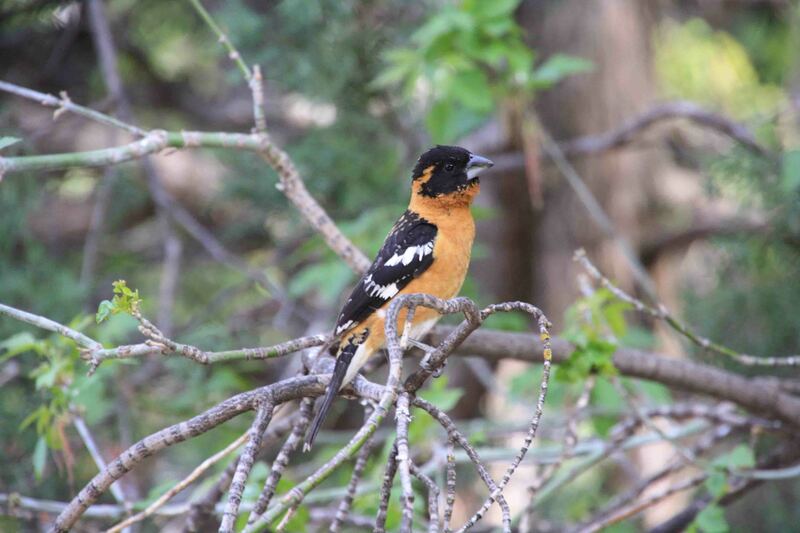 Great photo of the Grosbeak! Take care of Petey! He might need a rest!